What I love about these muffins is how it takes me back to childhood and Grandma Stella coming over with a fresh batch. As loving as she was, those contained either lard or excessive butter (Stella was old school). 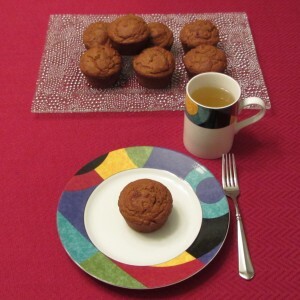 These muffins were light with the perfect touch of pumpkin spice that complimented my morning coffee. Stella would love ’em too.